The German water pump manufacturer HEPU Autoteile GmbH, the part specialist IPD GmbH and the Hitachi Automotive Systems Espelkamp GmbH company, which offers high quality replacement car parts under the brands of Hitachi and HÜCO, are now affiliated with the TecCom B2B platform. The retail customers of these suppliers can retrieve information about availability and pricing using the TecOrder solution at any time and also create orders and receive an electronic order confirmation. All three companies have already been feeding their product data into the TecDoc catalogue for a long time as “Certified Data Suppliers”. The decision to use the TecOrder solution was therefore a logical step in order to simplify the ordering process for customers. Hitachi Automotive Systems Espelkamp GmbH, formerly HÜCO Automotive GmbH is part of the globally operating Hitachi Group. The company has already offered successful, high quality replacement parts for the international initial equipment and automotive aftermarket for 35 years. Safety in automobile technology is therefore a top priority. HEPU Autoteile GmbH has been known as a manufacturer of high quality water pumps for cars and commercial vehicles for more than 50 years. HEPU also offers customers an extremely comprehensive programme of complete water pump kits in the replacement part market. All of the HEPU kits come from the well-known initial equipment manufacturers and therefore offer original quality. Permanent availability can be guaranteed for almost all of the products. 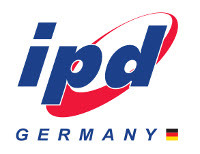 IPD GmbH offers customers a needs-based range of goods in the area of wheel bearing sets, tension pulleys, freewheels, belt tensioner kits, belt pulleys, flexible discs, integrated wheel joints, drive shafts, patch kits, AGR valves and timing chain kits. By means of the cooperation with the leading initial equipment manufacturers, the highest quality standards and complete reliability is guaranteed for all programmes and products. The big IPD central warehouse guarantees a high level of availability and immediate ability to supply.